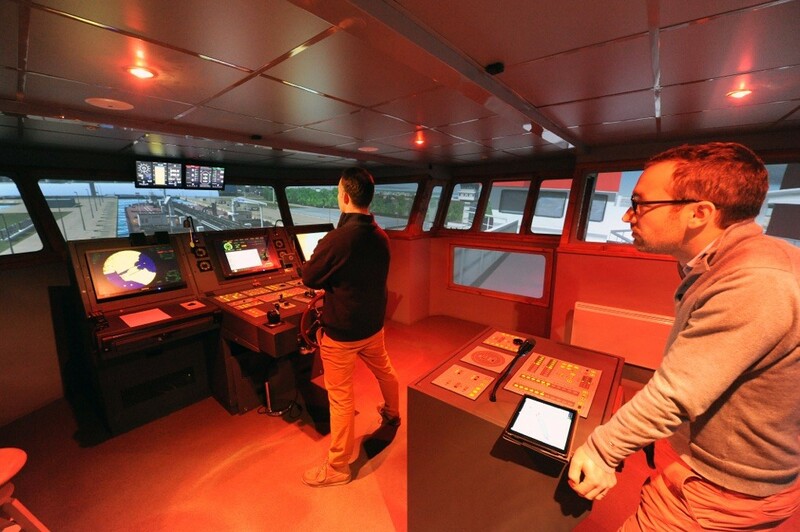 Le havre pilot station has been fitted with a port manoeuvring electronic simulator provided by transas. 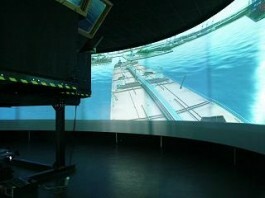 This simulator plays an innovative part in the training of pilots and aims to complement practical training acquired at sea. 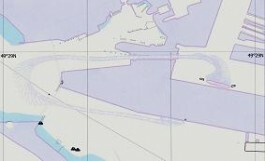 Reconstituted numerical images of the different characteristics of various sites, covered within the pilotage zone of le havre, as well as anchorage and basins of le havre and the ports of antifer and fécamp, are shown on a panoramic 270° screen. Besides studying the reaction of a vessel in a real situation, the aim is also to maintain levels of knowledge such as the topographical view, local by-laws, internal recommendations and usage of equipment like radar… The simulator also assists in perfecting manoeuvres done in unusual circumstances such as fog, or emergency situations, and to help understand the causes of a bad manoeuvre. The system takes into account currents and winds, drafts and air drafts, combined with pitch effect and bank effect. The bridge is static, but the exact scale is reproduced on the screen, hence, sea sickness is not unlikely during a strong swell whilst navigating in front of the port entrance of fécamp! Different training courses allow the pilot to improve his technical approach regarding manoeuvring. Actions involving speed, passing ships, going alongside, etc, can be analysed, as well as any other aspects within the limits of feasibility. 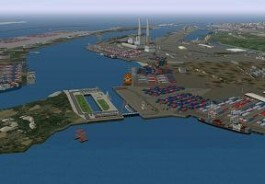 The simulator also gives the pilot the possibility to follow intensive training before new quays are to be used. This was the case regarding the new quays at port 2000. 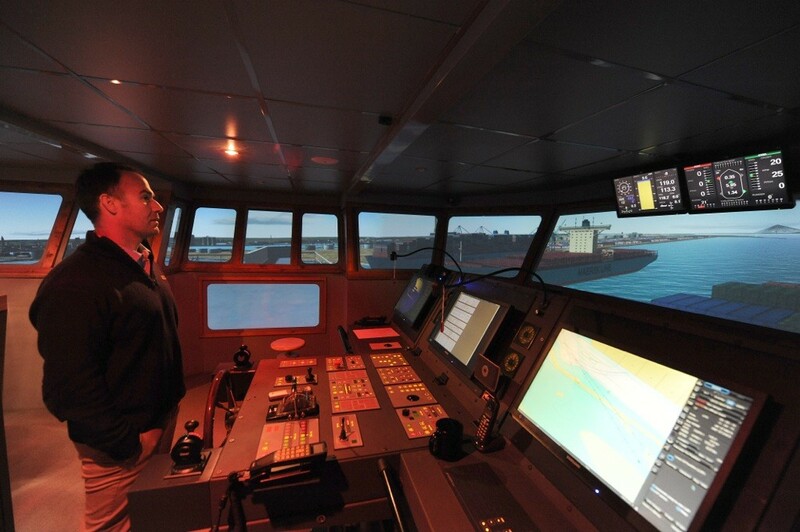 Within the framework of bridge resource management, teamwork (a pilot giving orders, the other at the helm,) allows an analysis of a simulated exchange between the captain and the pilot. 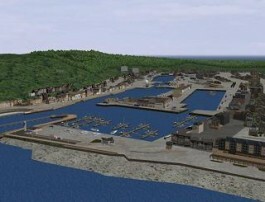 Finally, and following an agreement signed between the pilot station and the port autonome in december 2007, use of the simulator enables the validation of future port planning, whether it be the river lock, the extension of port 2000. There are 3 stages, all useful and equally as important. This is decided depending on the experience of the pilot and his current needs. In order to maintain general training and knowledge, exercises corresponding to standard practises must also be selected. After having been shown elements such as data relating to the berth, the ship, or regulations specific to the manoeuvre, this exercise is started. It lasts for approximately 1 hour and complies with real procedures (vhf, usage of tugs…). The instructor intervenes in the exercise. He handles the other ships and tugs, instigates unexpexted events (damages …), changes the weather… He takes notes regarding subjects to be discussed. Constructive criticism is given by the instructor. The different stages of the exercise are re-viewed. This is followed by an analysis in the way of an open discussion between the pilots.selected.